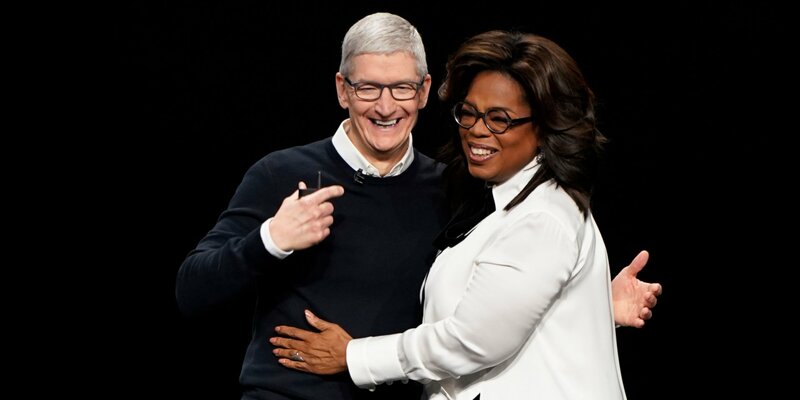 Apple’s long-awaited reveal of its streaming plans has drawn mixed results from the industry, with many questioning whether the platform’s A-list talent bet is enough to differentiate its offering from the likes of Netflix and Amazon Prime Video. During the showcase event in Cupertino, California, Apple made a number of announcements, all of which sent a strong signal that the brand is pivoting aggressively towards being a “services” business rather than relying on hardware such as iPhones, iPads and that entire suite of products. 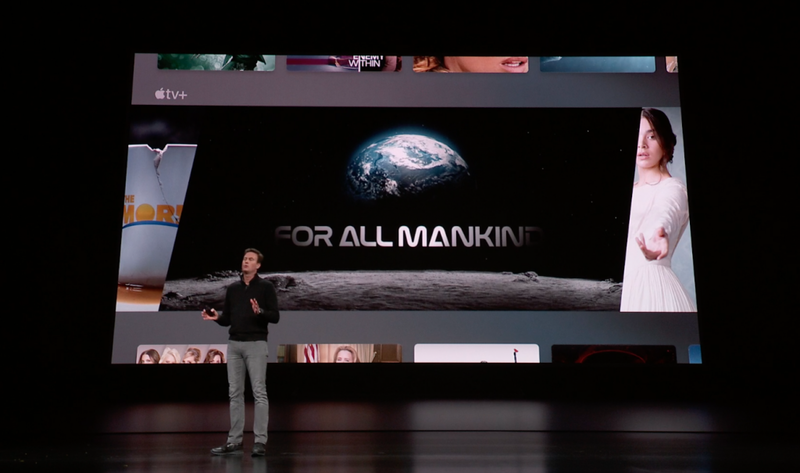 Not only did Apple unveil streaming service Apple TV+, the enhanced Apple TV and Apple TV Channels, it also rolled out a new credit card, an expanded news platform and a games subscription service. Apple’s information dump was, quite frankly, confusing, and did little to delineate exactly how each service will operate with one another. To be clear: Apple TV+ is not a standalone service. In fact, it will sit within Apple TV, which has existed as a set-top streaming box for several years but is now getting wider distribution, which is key. What is particularly significant is that not only will the Apple TV app be available on iPhones, iPads and set boxes, it will also be available on Samsung, LG and Sony smart TVs, as well as Roku and Amazon’s Fire TV Stick. However, it’s important to note that Apple TV will not be available on PC desktops or Android TV, as well as gaming consoles and non-Apple-affiliated tablets – a key difference between the service and Netflix, which has wide distribution and is easily accessible online. Thus far, Apple has indicated that its platform will be populated solely with its own content, meaning there will be no licensed product from third-party studios. A short reel of forthcoming originals – roughly 31 – on Apple TV+ towards the end of Monday’s presentation demonstrated that programmes such as Steven Spielberg’s Amazing Stories reboot and the Reese Witherspoon and Jennifer Aniston-fronted The Morning Show will be glossy, uber-premium and, from the looks of it, super expensive. However, it’s unclear how the business will maintain a steady stream of originals at this level when you consider that Apple’s worldwide video co-head Zack Van Amburg promised “exclusive original movies and shows with new additions every day”. Also consider that Netflix and Amazon Prime Video effectively built their video platforms on the backs of licensed studio content. How will Apple sustain its pipeline of content for the service? For context, Apple’s content spend is believed to be upwards of $1bn, while Amazon is spending an estimated $6bn and Netflix – with the largest head-start – is dishing out $15bn. Apple’s razzle-dazzle presentation was big on talent, but low on details, such as pricing. The business has said it will reveal pricing information at launch this fall, but it’s yet unclear how much a subscription to Apple TV+ will cost. In order to be competitive, the business will need to price the offering in the range of Netflix’s most popular ‘Standard’ package, which now costs $12.99 per month. What Apple has said, however, is that via a “Family Sharing” plan, users can share Apple TV+ and subscriptions to Apple TV channels. It has been over a year since Channel 4 chief creative officer Jay Hunt joined Apple as European creative director of worldwide video, with a remit of commissioning original content out of the region. The business also hired former Gaumont Television head of production Carol Trussell as its head of production, followed by the appointments of BBC Films’ Joe Oppenheimer. For her part, Hunt began meeting with local producers out of the UK almost immediately. As such, it was peculiar that the US team gave no indication of what the international slate might look like, which could indicate that the business is waiting to roll out its first global offerings closer to launch date this fall.